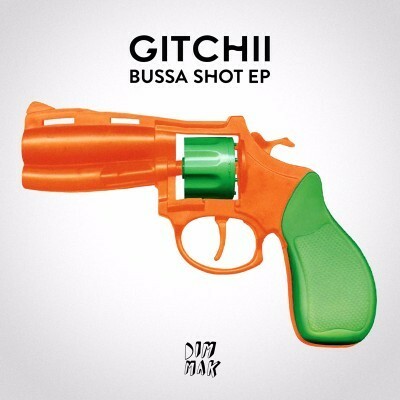 Following their debut trap-infused New Noise single ‘Raxxx’, GITCHII are back with their first full length EP, ‘Bussa Shot’. Out now on Dim Mak records, the release is a collection of four hip-hop infused tracks that aim to set the current scene ablaze. At 160BPM, the title tune uses vibrant dancehall chants as a build into the trap drop. ‘Concrete Jungle’ follows with furious percussion patterns and hypnotic backbeats, while ‘Put It Down’ and ‘Raxxx’ are gritty, booty rap productions that close out the EP. GITCHII arrived onto the scene in 2015 and in a musical age where genres are both invented and saturated at the drop of a hat, they aim to push their own sound. They have demonstrated their knack for reworking radio-friendly songs in innovative ways, evidenced by their bootlegs of Rihanna’s ‘BBHMM’, Trey Songz’ ‘Touchin’, Lovin’’ and Beyoncé and Nicki Minaj’s ‘Flawless’, the latter which surpassed 1.2 million+ plays on SoundCloud. Their official remixes have been popular, having recently released a take of Major Lazer’s ‘Powerful’, Feat. Ellie Goulding and Tarrus Riley, that’s garnered 156K+ plays in one month’s time. Check the EP out below.